Dopamine is king! And with great popularity, comes great misrepresentation. 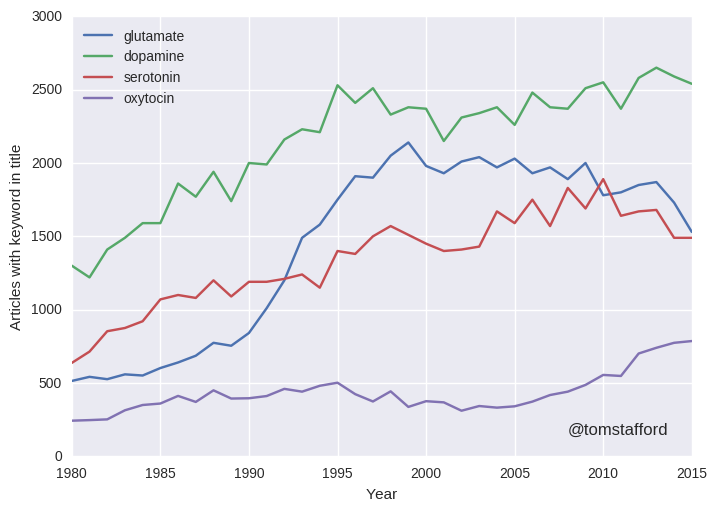 What happened to glutamate research in the mid 1990s? The recent hype about oxytocin doesn’t seem to be driven by a spike in the primary literature. Nor does the hype about serotonin. Yes, publications increase on this neurotransmitter, but not compared to glutamate. And most people haven’t heard about glutamate, despite it being more abundant.